Get the bathroom that you’ll absolutely love with our bathroom design ideas. 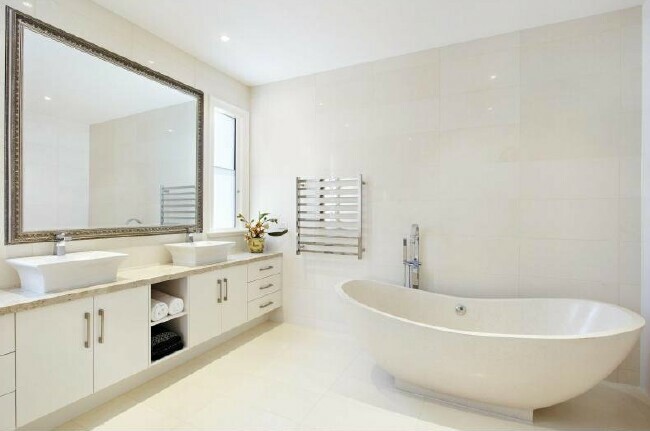 We have more than 35 years of experience in bathroom design and home building in Brisbane. Talk to us about your requirements and budget, and we’ll get to work! When you’ve got a dream bathroom in mind, it’s a good idea to look around first and plan. You have several layout options to consider. Possibilities are endless. To help you visualise your bathroom design, visit the Reece 3D Bathroom Planner. Also, check out our previous projects. We are one of the leading bathroom designers and home builders in the region. Call us today for a no-obligations quote: 0413 056 077. New bathroom design ideas are not just about getting a new look for your bathroom. There are complications that come with every bathroom renovation, especially when it requires a complete overhaul. You have fixtures and plumbing to think about. These may require relocation, which will definitely increase your costs. Concrete slabs need to be removed to access slab drainage. Termite barriers need to be reinstated. And, there’s the small space to consider. When thinking about renovating your bathroom, focus on one or two main features to work around with. If compromise about your dream bathroom design is not possible, Brisbane Bathroom Bliss will find a way! Position the bathtub on the short wall for the best use of space. Consider if you have enough room for a free standing bath. Also, make sure that these features don’t crowd out the rest of the bathroom. Include mirrors in your design as this instantly makes the bathroom look more spacious. Use corners for your shower, toilet, bath and vanity. Having a toilet that’s separate or closed off is a great idea so ask yourself how many users will require access to the bathroom facilities. If you choose to install the toilet in the bathroom, position it such that it avoids direct view from the entry door. Hang the entry door against the wall. It may be possible to have a cavity in wall slider for more room. Changing or enlarging a window position can be costly but it can also be beneficial in many ways. For one thing, it allows more light in, which can reduce your energy consumption. Full length mirror over vanities can look great and add to the spaciousness of your bathroom. Floor heating and good ventilation should be top considerations. Consider double vanities if you have a big family. Walk in showers that have no hobs are good options. Disabled showers are also something to consider . These days, double showers are increasingly popular and practical so ask yourself: do you really need a bathtub that you might never use? Some non-bathtub users retain a bathtub only because it’s the norm. But if you have no intention of selling for some time, then don’t worry. On the other hand, if you are refurbishing to sell, then I would suggest that you include a bathtub in your bathroom design ideas. A frameless glass shower screen looks more streamlined and will make the bathroom feel more open. Clever lighting can make a big difference. Recessed lighting means that the ceiling will feel higher. Adding windows will increase the amount of natural light, making the bathroom feel bigger. Let Us Design Your Brisbane Bathroom! Save time, effort and money and let the professionals deal with your bathroom design ideas! We have been designing Brisbane bathrooms for over 35 years, and have kept up-to-date with modern trends and designs.